Jordan Brand has already unveiled several retro kicks that will hit shelves this year. Another retro model has surfaced and it is expected to make a comeback anytime this year. 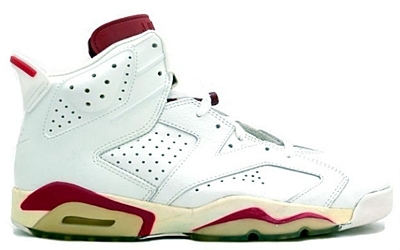 According to multiple reports, the Air Jordan 6 “Maroon” will be released once again this year. This edition of the sixth Air Jordan shoe first came out in 1991 with its retail price set at $125 during that time. Like before, this kick will feature white leather upper part with maroon hints and clear sole. You should definitely watch for this kick to get a taste of what retro really means. We will keep you updated!